It was a hot evening in a chaotic market. Me crew was not as used to land as we are on the seas. Tis Captain had heard of a legendary Date store like none other, so naturally me curiosity got the better of me. Most of the landing party decided to venture out to restaurants leaving me with a new recruit who was quite a shy lad. We finally found the shop which stood out like a golden beacon amongst other shops. I smiled as I knew that me date with Dates has started. One often associates the Middle East with things like Oil, shopping and you guessed it - Dates. Date Palms once stood as vanguards around Oases. They were the natural barriers against invasive sands and hostile desert winds. They stood and protected the Green islands in a sea of desert. And if that wasn't enough, they also provided sweet Dates. Grown in the tough conditions, this fruit had adapted to become almost a super food. Its sweet, tasty, fiber rich, has ample calories, detoxifies the body and is quite nutritional. However, some dates are just better than some others. 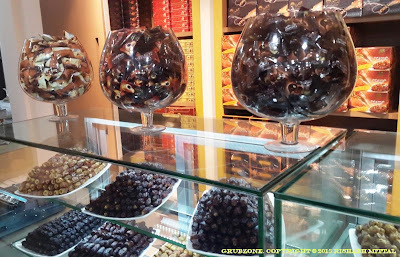 In India, we are accustomed to consuming local grown varieties, Iraqi, Irani or Egyptian dates. In the Middle East and North Africa, these dates have lesser popularity. Some of these are even used as animal feed. Then the question one must ask is why do we import these to India? The answer is simple, they are cheap. Saudi Arabian dates are almost like the treasure of the sands. 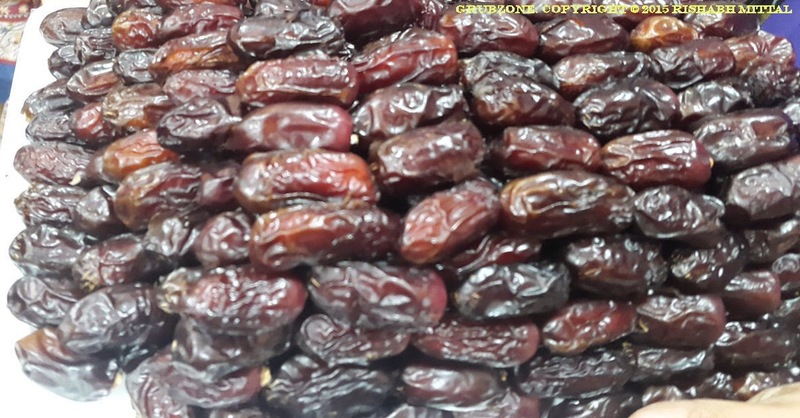 They are considered superior and perhaps the best Dates in the world. However, Indians seldom get to taste these. 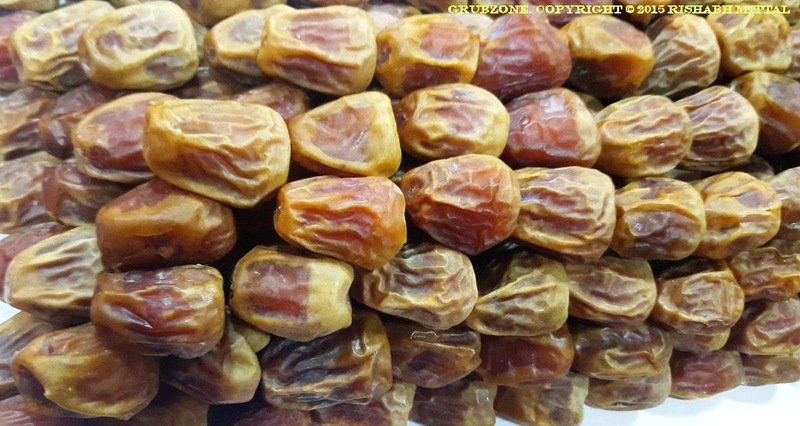 Only one type of these fine Saudi dates are imported in India and that is only during Ramadan. Ajwa Al Madinah is often used to break the fast. And they are not that widespread among the general public.Well that is about to change. This is where Siafa's comes in. Also known as Al-Alwani, the company has re-branded itself and landed in India. Their first store has recently opened near Crawford Market in Mumbai. Now, it was quite difficult to believe that Saudi Dates could be so superior that all other Dates would taste like animal fodder in comparison. But this was no exaggeration. A recent meet organized by Food Bloggers Association of India saw the arrival of Bloggers, journalists and even a professional Chef. Everyone wanted to see and taste these Dates themselves. Were these really that good? The answer in short - Yes, they were. The store is new and has an ambiance that makes it feel more like a jeweler's shop. The wares make it appear like a Chocolate shop and the presence of a small lounge upstairs makes it feel like a cafe. But let's not get mesmerized by the euphoria. This is a Dates shop, a very special Dates shop at that. Before giving us a guided tour of the establishment, the management treated us to Arabic Coffee served in a shot glass. Arabic Coffee is much different from our traditional notion of milk coffee. It is made with ground virgin coffee beans with no preservatives or chemical additives. The mix is then further enhanced with cardamon and saffron. Each sip fills your nose with the heavenly aroma of these rich spices. Its an entirely different beverage, yet a coffee. Being refreshed, our date with the Dates began. 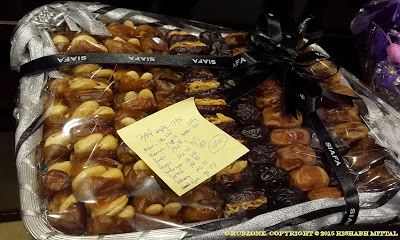 We first tried the Safawi Dates, which tasted rich and juicy. 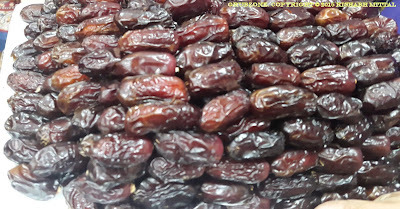 These were indeed better than the common dates sold in India but not that better. 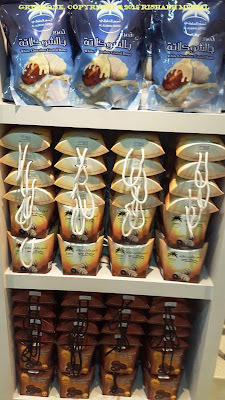 Our hosts smiled as they notified us that these were the common varieties of dates and nowhere near their best merchandise. Up next were the famed Ajwa dates. Upon tasting, I realized that the earlier comparison was no misnomer. These dates are indeed superior. 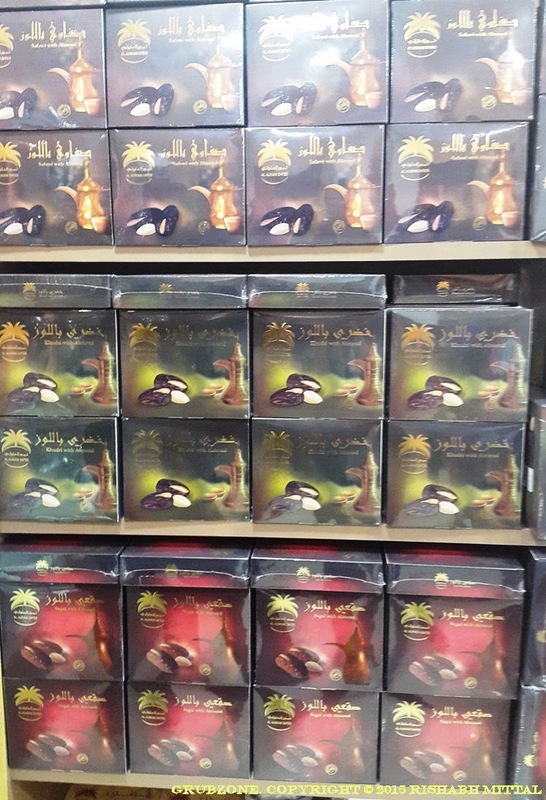 The comparison of Saudi Dates to Dates sold in India is akin to comparing a Palace to a Shanty. 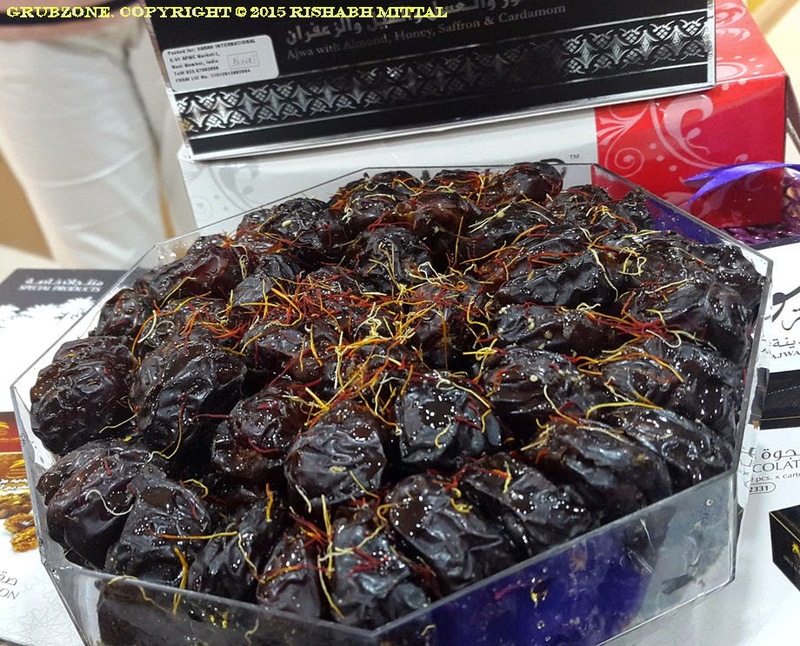 Sukkari Dates tasted very different from Ajwa. These blonde colored beauties have a candy like flavor and a soft chewy flesh. It is almost akin to growing soft chewy candies on a tree. 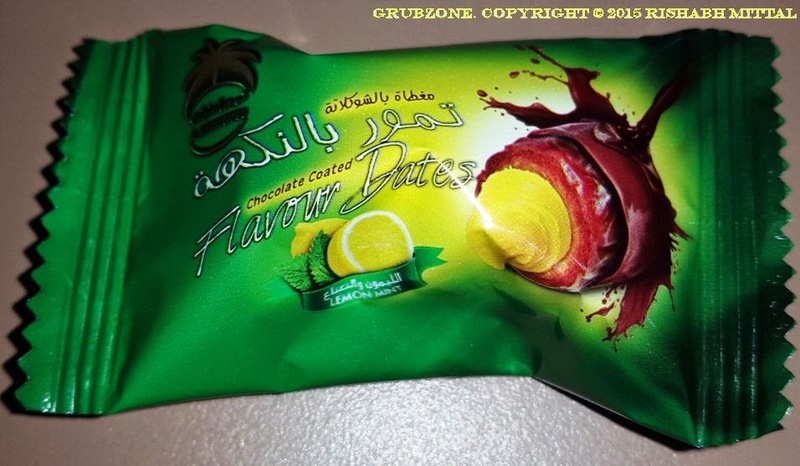 Unlike regular dates, these don't even feel fibery and almost melt in the mouth. It is hard to believe that this a fruit. 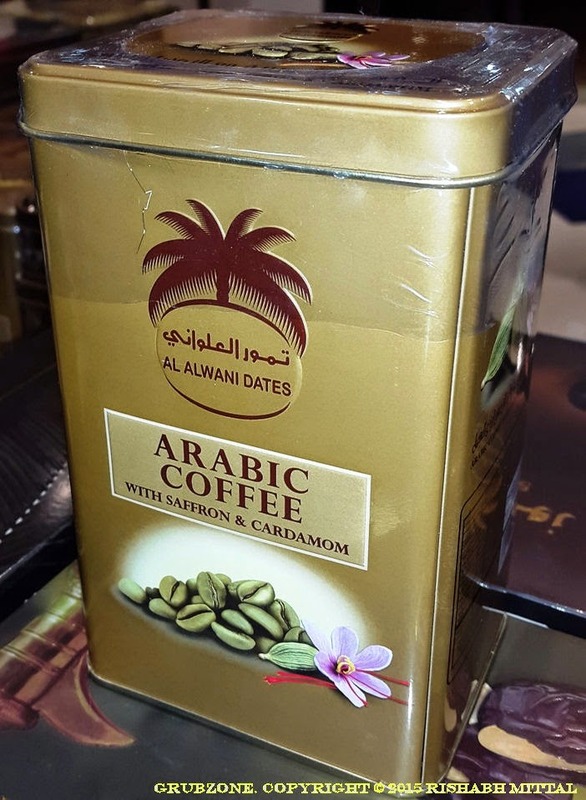 While Ajwas are grown in Medina, Sukkari are grown in Qassim in Saudi Arabia. These are some of the most expensive dates in the world. Its surprising how location and weather while harvesting can affect the taste and appearance so much. However, its money well spent for these Golden dates. And Siafa's variants are amongst the finest out there. Captain : Look at these Golden Dates. Its almost like, I have found treasure in the sands of Arabia. Crewmate : Ah...ok. These are quite sweet and nice. Maybe we should get some for the crew. Captain : Nonsense, those lads abandoned me for this trip. They shall get none of this. 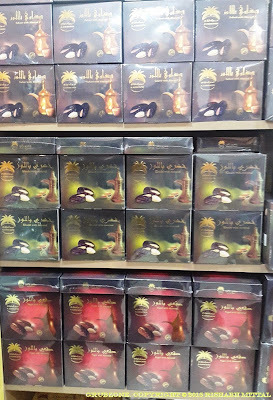 The shop advertizes itself as a Chocolates shop too. And there are treats like none other sold over here. Resembling Chocolate Truffles, these little beauties were a completely special experience. This piece for example is coated with white chocolate that gives way to a sweet date layer within. The Date's core is filled with a rose flavored sweet stuffing making the complete alchemy truly divine. Many flavors of these Chocolate-Date hybrids are sold at Siafas like Orange, Hazelnut, Arabic Coffee, Coconut and my personal favorite-The Lemon-Mint. Move over Mint Truffles, Siafa's Date truffles are the newest trend in the game. 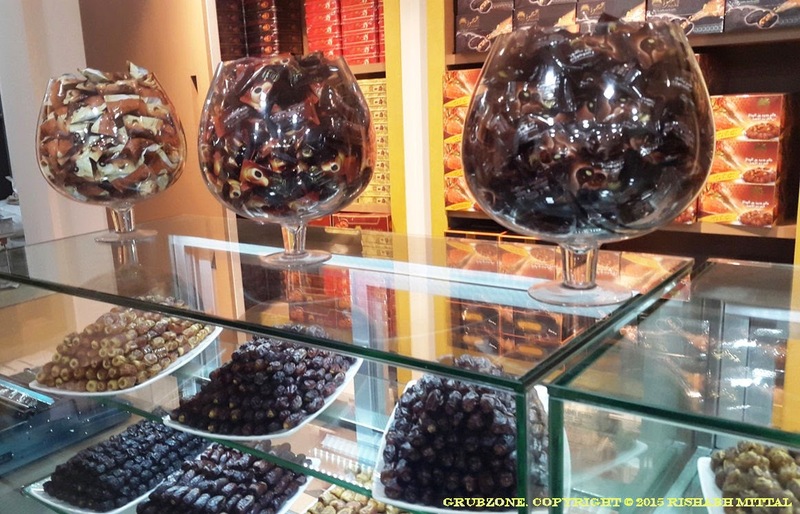 These are sweet Dates coated with a dark chocolate shell. Beneath the soft Date lies a candied filling of mint with a lemony hint. These easily surpassed some of my favorite mint truffles like After Dinner mints. Its indeed nice to discover that these delights exist in our world too. Captain : This is mintilicious. Crewmate : Ye..yes, I liked the Hazelnut flavor a lot. Captain : Aw, stop being shy lad. Try everything. Just leave the mint for your Captain. 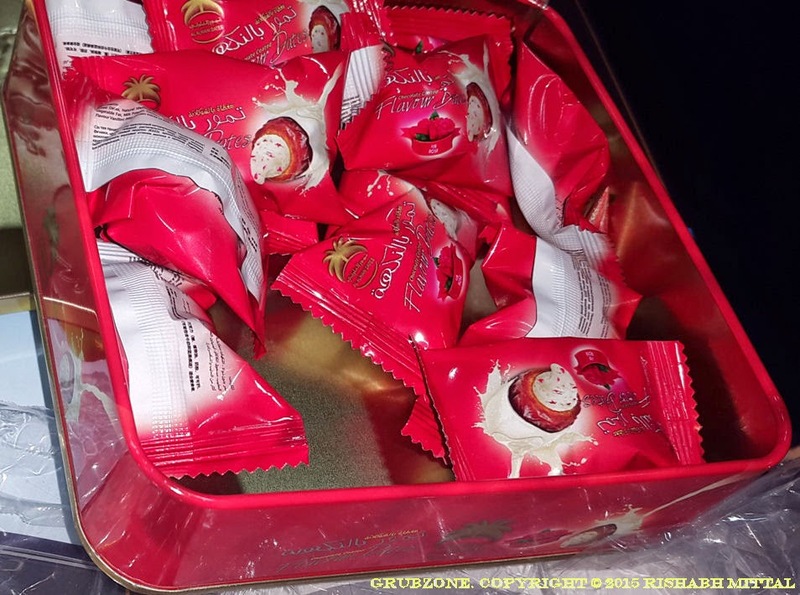 These flavored Dates are sold like chocolates in premium tin boxes. 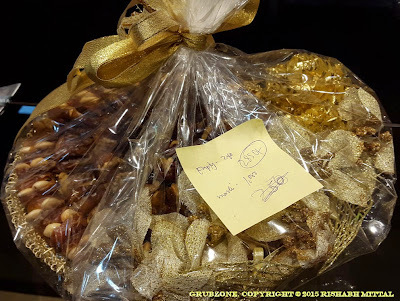 They make a great treat for gifting or a worthy replacement for Mithais during Diwali. 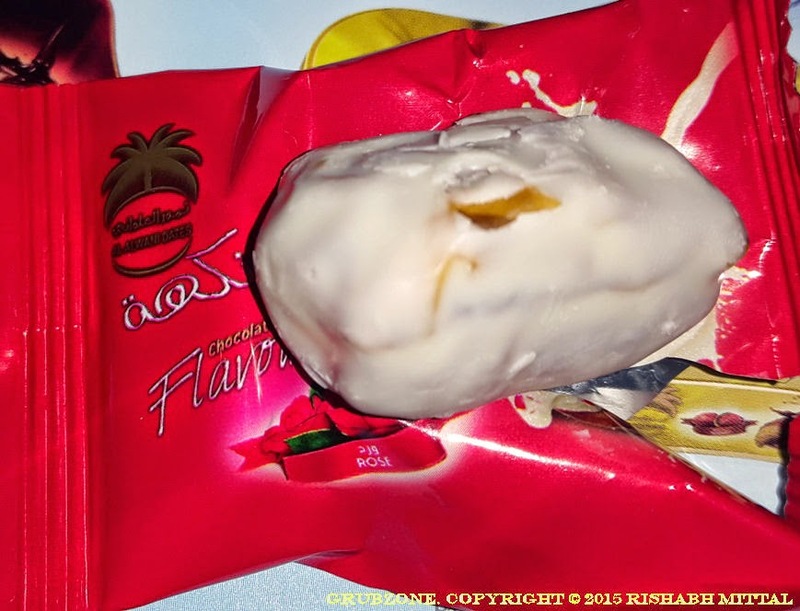 I would certainly enjoy a box of Siafa's Lemon-Mint Dates more than a box of Kaju Katri. And just when I thought that the store had showed me its most special product, I was proven wrong. If this picture feels delicious then trust me, the real thing is Divine. 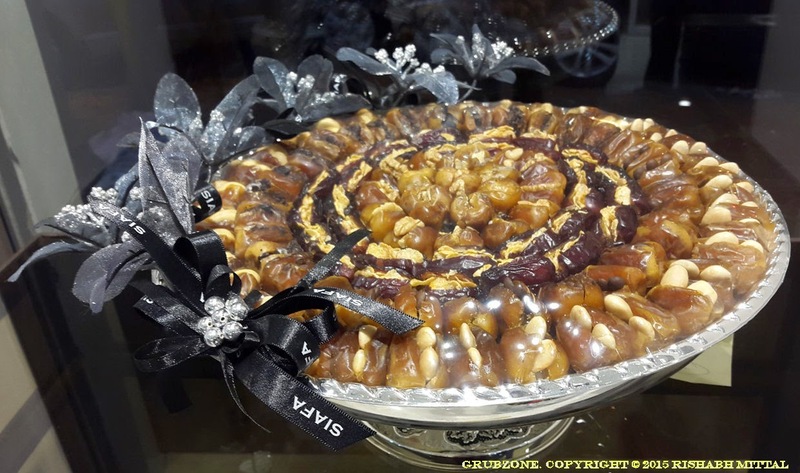 This particular treat is made of Ajwa Dates filled with a stuffing made of Cardamom and Nuts. These are then soaked in Honey and topped with saffron. Due to the presence of liquid Honey, this product must be leveled at all times. 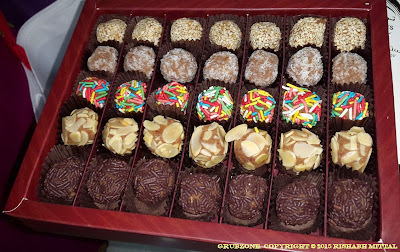 The taste resulting from the addition of different treats into the concoction was well balanced and suggested that the ingredients were in a sweet harmony with each other. This special range has other varieties too. There is Sagai Dates with Honey, Nuts, Cardamom and saffron. And then there is Ikhlas Dates with Honey, Nuts, Cardamom and Saffron. The reader must excuse me a bit here, its hard for me to describe everything given the sheer range of things sold here. But its safe to say that there is enough special stuff to have you making several sorties to the store. These things are largely unheard of in India, let alone be sold. These are truly some of finest treasures of Saudi Arabia. Captain : This is a Date Heaven. Crewmate : Uh, can I try one too Captain? Captain : Sure lad, just one though. The shop also offers assorted Tamaria which feel like a mix of Italian Ferroro Rochers and Indian ladoos with an Arabian Twist. These balled up goodies are made of Dates, Honeys, Nuts coconuts and ice cream sparkles. If you are bored with the same old Mithais, chocolates and Dry fruits - Give these a try. Be careful while buying these as gifts as one may just end up eating these themselves. Whether it is for self consumption, personal gifts, Valentine's Gifts (Because a date with dates sounds too awesome) or corporate gifting - there are options for everyone. Siafa's is truly a unique addition to Mumbai's vibrant food and dessert culture. Visit Siafa to experience a sweet paradise that you never even imagined about. To end this on a sweet note - Here is a picture of what I call the King's chalice. This is amongst the most stellar offerings of Siafa. It attracted attention from both inside and outside the store. "Ha, I laugh at those fools who chose to not join me for this trip. Maybe we could tease them with our eventful tales from the Arabian Ni..dates."